Billericay began as a manure spreading and contract spraying company in the UK, but it was only natural that the company would invent an innovative spray nozzle. This groundbreaking device introduced air into the liquid stream as it sprayed, resulting in spray droplets that contained air bubbles and reduced spray drift. Thus, the Air Bubble Jet was born. It was classed as a pioneering air induction nozzle which quickly became a favourite with farmers, when they saw the dramatic reduction in drift, and hence the lessened impact on the environment when spraying pesticides. The latest development, a new angle on crop spraying known as the “Angled Cap” is a device to angle any standard jet to achieve better coverage of the target crop and its associated weeds, pests or diseases. For the full range visit the Billericay website here. 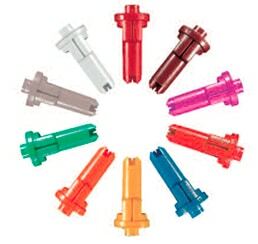 Billericay Spray Nozzles are available exclusively from EuroAgri in Ashburton, New Zealand.